This past November I had the privilege of spending time with Sir Anthony Garrett. 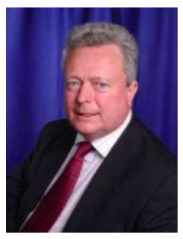 Sir Tony, as we affectionately call him, is the CEO of the Association of British Dispensing Opticians(ABDO). I first met Sir Tony at National meetings in Calgary a number of years ago. At that time, he kept us intrigued with his stories about Opticianry from around the world. During his most recent visit, which was also to National meetings in Calgary, we had the pleasure of discussing our profession as it stands today.During a conversation one evening in Calgary, after our meetings, Sir Tony made a statement that has stuck in my mind since then. He said that opticians had a duty to “Not just help people see better, but help them see the best they can”. This statement really resonated with me as I ponder the state of our profession. The eye care consuming public is bombarded on a daily basis with advertising for glasses ranging from $7.95 on some Internet sites, to high end frames and lenses costing in excess of $1,000. Is there a difference? Of course there is. Almost every day I witness patients putting on state of the art, personalized, “Digital” lenses and marveling at the quality of their vision. Do patients see better when they put on basic lenses? Of course they do. Are they seeing the best they can? Maybe not. For years now we have been presented with new lens designs and coatings that, without a doubt, give better vision. But is the goal of eye care professionals to enable patients to see the 20/20 line on an eye chart? See you on Sunday April 29. As I cruise around the Internet on a daily basis I come across quite a few articles that relate to our industry. Some I feel are positive for the future of opticianry, and some I feel are challenges for us. It seems that the world is constantly looking for ways to help the public do away with the need for our products, glasses and contacts. New procedures, that are mildly to fully invasive, are showing up on a regular basis. I’m sure my fellow opticians would agree with me that, as opticians, we do not just sell products. A big part of what we do is counsel people about their eyes and appropriate life enhancing vision products. How many times a week, depending on your clientele demographic, are you asked questions about impending cataract surgery, what to do between surgery and the post cataract refraction, and finally options for a client that may not need much of a distance Rx, but would be lost without the multiple working distances of progressives? And the doctor has told them they only need readers. In my practice I seem to be seeing these scenarios sometimes multiple times a week. This motivates me to keep my knowledge of cataract surgery up to date. In the last few years Blue Light has been a topic of interest with clients and within our industry. Another education opportunity. After all, most stakeholders and the public regard us as front line healthcare workers who are very accessible. Groundhog Day? Déjà vu, Again? Is Another Layer Of Regulation Necessary? 2016 will mark the 70th anniversary of the Ontario Opticians Association. It was previously known as the Ontario Association of Dispensing Opticians. Next year’s Inside Optics, being held on April 2nd & 3rd, will be a celebration of this great milestone in our history. All Ontario opticians, past and present, share this milestone. More about our event and history will be shared in the months to come culminating in a party on the evening of Saturday April 3rd and the largest Inside Optics ever on Sunday April 3rd. Dispensing In The 21st Century: Is It Really “The Big Bad Internet”? So when did “Internet” become a bad word? I’ve noticed that over the past few years this word has evoked negative comments and talk of doom and gloom amongst some opticians. It’s high time that we stop using this catch all word as the evil machine that will put independents out of business and opticians out of work. We are seeing the Internet becoming part of our daily routine as opticians more and more every day. Is this use all negative? Of course not. Whether you’re using the credit card machine, sending an order to the lab, or communicating with your patients using email – you are using the “Internet”. The times they are a-changin. Fast! Optician Rod Parker on Opticians and the Internet- Use it or Fear it? Licensed Optician on Opticians and the Internet- Use it or Fear it?